While no decisions were made, the floating of radical measures to tackle Pakistan's ballooning current account deficit by the newly formed Economic Advisory Council (EAC) underscores the new government's determination to avoid another IMF bailout. That has prompted most financial analysts to predict Pakistan will turn to the IMF for its 15th bailout since the early 1980s. 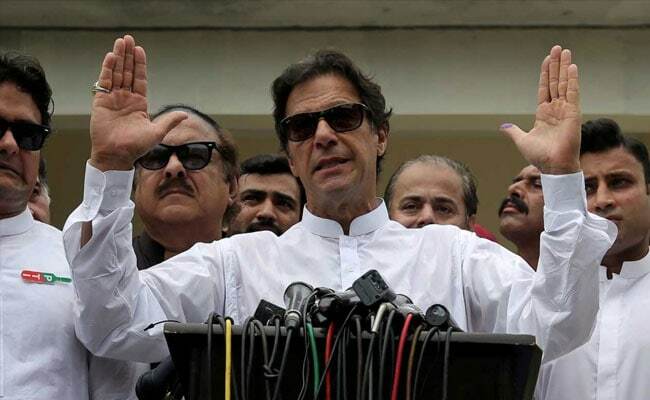 But new Prime Minister Imran Khan has criticised a culture of dependency and his party's officials have expressed concerns that the reforms and austerity the IMF might demand would strangle promised government spending. Ashfaque Hasan Khan, a university professor who is one of more than a dozen EAC members, told Reuters that during Thursday's meeting, the focus was on outside-the-box ideas that would help curb imports. "I didn't find any member (who) suggested that Pakistan should go to the IMF because there is no other alternative," he said. "We need to take some actions. 'Do nothing' scenario is unacceptable." Imran Khan said the more radical steps discussed were a year-long ban on imports for cheese, cars, cell phones and fruit that could "save some $4-5 billion". A push on exports could generate up to $2 billion in extra inflows, he added. "You see how much cheese is coming in this country from abroad," Khan said. "Market is full of imported cheese. Does this country, which doesn't have dollars, deserve this, that it is importing cheese?" To ease current account pressures, Pakistan's central bank has devalued the rupee four times since December, while interest rates have been hiked three times this year.